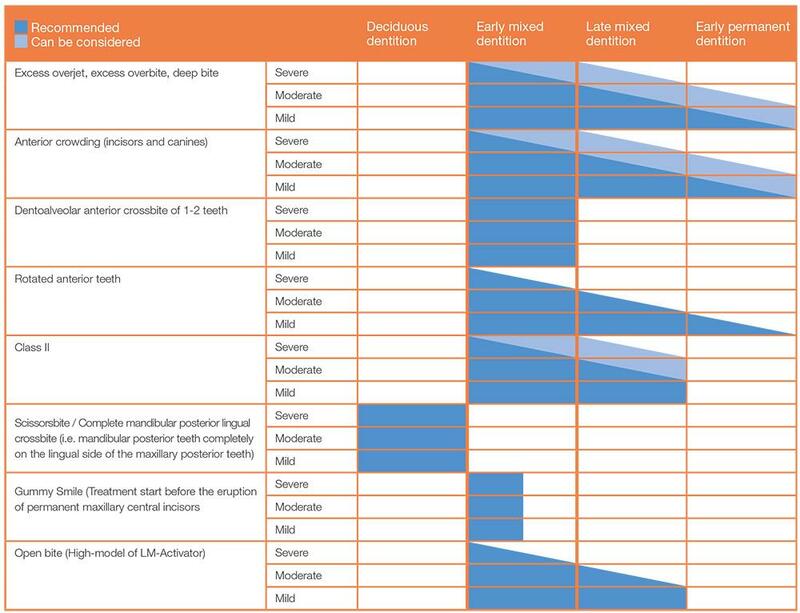 LM-Activator has proven to be effective in treatment of different malocclusions in different dental stages. The below chart provides demonstrative guidelines for case selection. A thorough case-by-case analysis of the patient’s malocclusion and its severity as well as the patient’s motivation is needed. Evaluating the dentoalveolar, skeletal and functional characteristics of the patient is an essential part of selecting cases for LM-Activator treatment. Typical cases include deep-bite, crowding and dentoalveolar anterior crossbite.